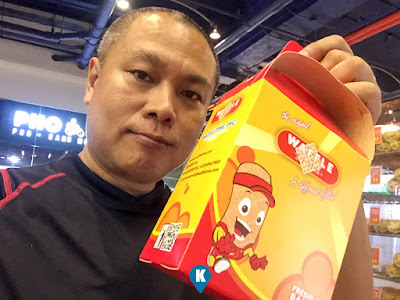 A favorite snack for the budget conscious person like me, this brand has saved me time and time again from hunger. 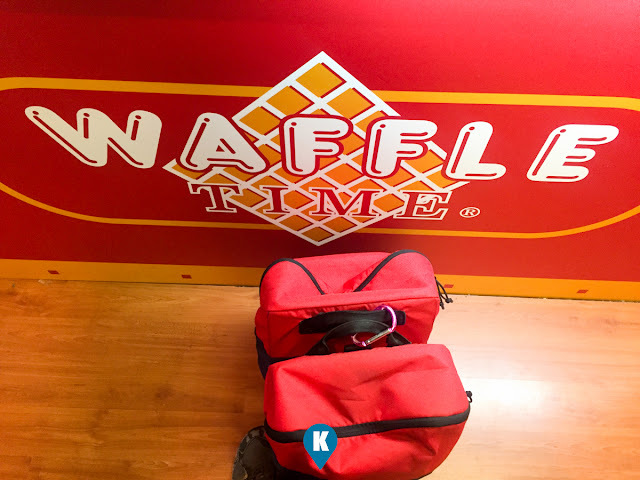 This Waffle Time branch was in Festival Mall at the food court session. With average prices like Php25, its not a surprise to see a queue at their kiosk. With lot of choices as filling, everytime you visit you can choose one each time and will keep you coming back for the others. 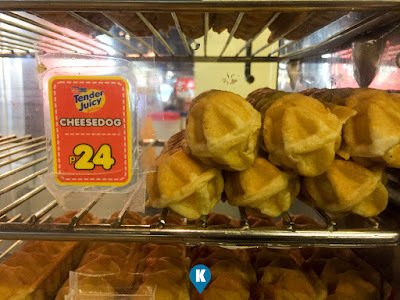 We have tried a number of them waffles and we always buy them in boxes of 6. or 12 if they have them. 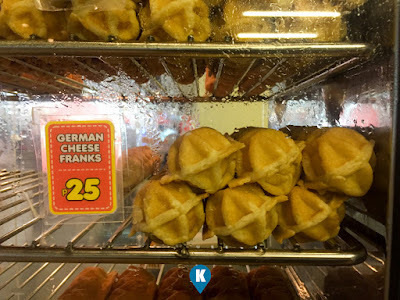 For this review, we bought the German Cheese Franks Php25 each. I ordered 6 to bring home to my kids. I was on my bike ride so I can't add more to my filled up panniers. Service wise, the waffles were already pre cooked, so when you order, they will simply re heat them and served them. Quick service for these yummy treats. Boxes were already done so stuffing them 6's in is just a breeze. Ambience? Since they don't have an exclusive dining area, you can partake these waffles with other diners in the common food court of the mall. Not bad still if you ask me, Festival Mall food court has been continually upgrading and renovating so its a pleasure to dine there. Serving wise, they haven't changed in size (I think). 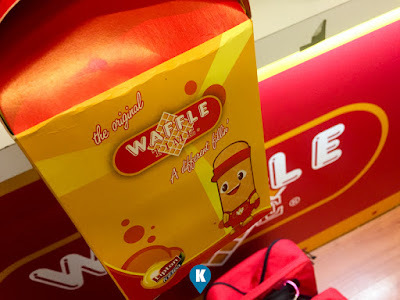 The size of them waffles are the same, maybe the size of the filling may have changed or lessened but that we can't confirm. We can't see much inside unless you bite into them and we can't make an accurate or subjective comparison. As long as the waffle size outside is the same, you will not hear complaints from this writer. 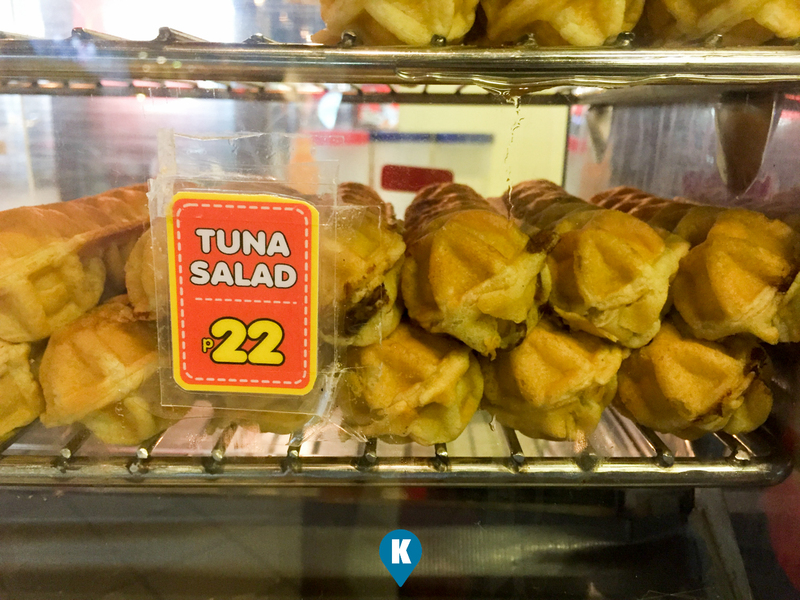 As to their price, I remember the cheapest option is Php18 then. 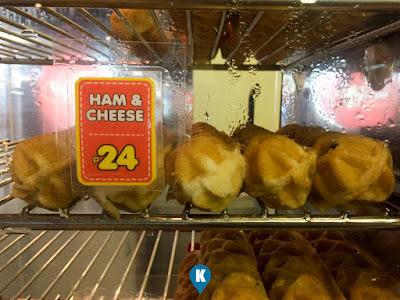 I think they still have that with their cheese filling. Sausages or franks go up starting Php22. My take home was Php25 each for the Germans. 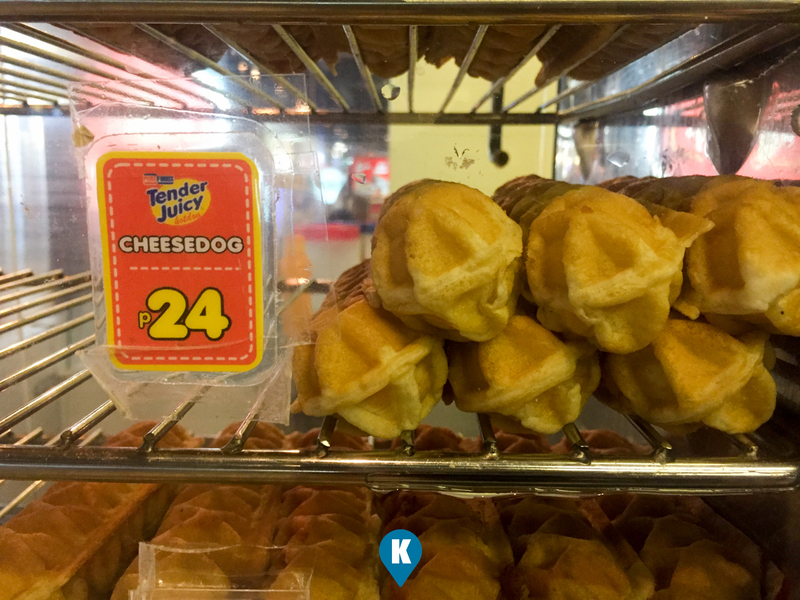 For a waffle that didn't change in size, Php25 is not a deal breaker. Easy on the budget, great with your wallet. I intentionally left the taste factor last. 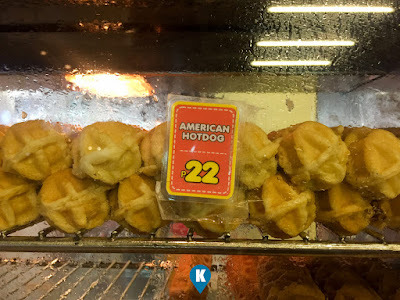 Just to tell you, they still tastes the same as before. I was thinking that if a product price did not increase or if ever increased very slightly, it will have an effect on the quality or quantity of the product. For this one, taste was not one of those things which was compromised. I was glad they retained (somehow) the quality and taste I have learned to love from Waffle Time. When I do go back to Festival Mall, its not a hard sell for me to buy these to bring home to my huge kids. Maybe you should too.